An “Army” of Allergan Sales Reps is Being Recruited to Storm OB-GYNs Across the U.S.
Direct-to-Consumer Ads Too, Of Course! 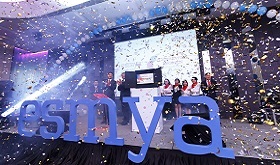 [From www.fiercepharma.com] There’s going to be “a lot of education required” to make Esmya successful, company commercial chief Bill Meury said in an interview. The product is going to get “a great deal of investment,” starting with backing from a women’s health field force of roughly 300 representatives – an army Meury said is one of, if not the, largest in the industry. The company is also plotting a branded DTC campaign that will put Esmya “front and center,” Meury said, and that effort will include TV, print and social media components. [From www.statnews.com] Judging by the latest pricing data, Robert Hugin is still getting away with murder. Last January, the Celgene chief executive sat alongside President Trump at a widely covered White House meeting to discuss pharmaceutical issues. 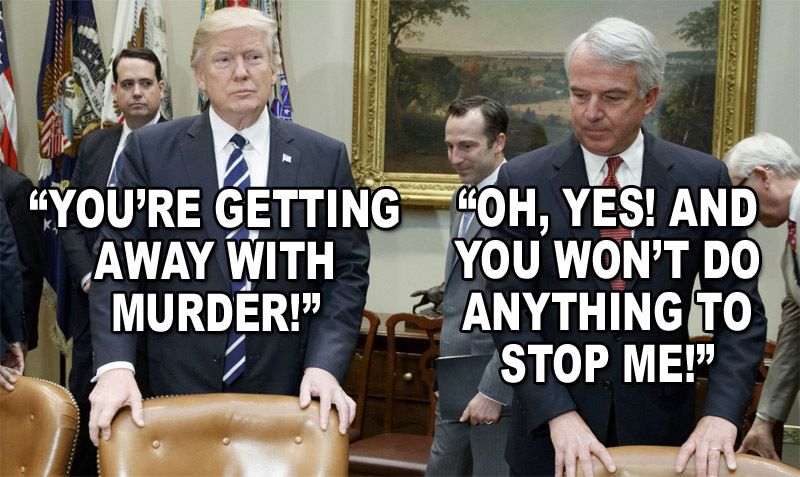 The gathering was held shortly after Trump claimed drug makers are “getting away with murder” over their prices. And four months earlier, Allergan chief executive Brent Saunders challenged other companies to hold their annual price hikes to single digits. So what does Hugin do? He keeps raising prices. Last week, Celgene raised the price of its best-selling Revlimid cancer treatment by 9 percent, the third time this year the biotech has taken a price hike, according to Cowen analyst Eric Schmidt. In July, Celgene boosted the price by 1.75 percent after an 8 percent increase in January. The latest price hike brings the average price for Revlimid up by 14.1 percent this year compared with last year, which is well above the price increases of 11.4 percent last year and 9.4 percent two years ago, Schmidt noted. Relax! No one’s going to jail. [From pharmamkting.blogspot.com] Federal prosecutors in Connecticut began a criminal investigation into Purdue Pharma Inc.’s marketing of the controversial opioid painkiller OxyContin. U.S. Attorney Deirdre Daly is gathering documents about Purdue’s claim that OxyContin provides 12 hours of pain relief. A Los Angeles Times investigation, published last year, found that Purdue ignored evidence showing the drug’s effects failed to last that long in some patients, increasing the risk of withdrawal, abuse and addiction. The Pharma Marketing Network is Back! PinUp: Social Media, Wearables, AI – Will Any of These Move the Needle on Patient Outcomes?